A bassist's guide to playing, writing, and understanding music theory. After decades of dedicated music study and 17 years of teaching music, expert musician and educator Mark John Sternal has created a bass guitar theory method that simplifies the foundations and structure for playing and writing bass guitar music. 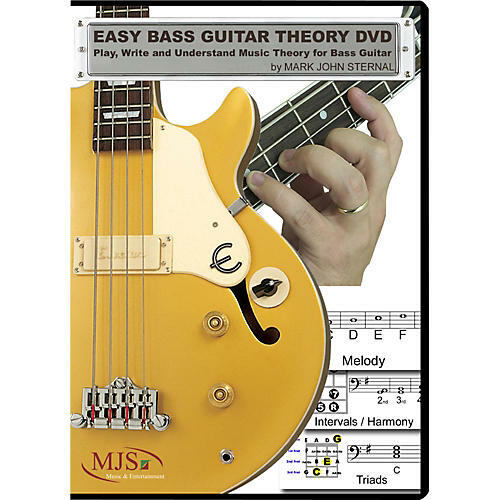 Easy Bass Guitar Theory is an instructional DVD containing all you need to know about music theory on the bass. Lesson material is presented in a progressive, easy to follow format that will be cherished by everyone from complete beginners to dedicated professionals.